As part of the ongoing commitment of Montréal InVivo to promote the economic development and growth of the life sciences and health technologies (LSHT) sector in Québec, Biotechgate, a company owned by Venture Valuation, and Montréal InVivo, the LSHT industrial cluster of the Montreal metropolitan area, announce a partnership to make available online a new Directory of Québec-based Life Sciences and Health Technologies companies. The online directory will make it easier to find business partners in Québec and will inform visitors about the strength of the life science ecosystem. This collaboration will also ensure international visibility of Québec companies since the database integrated in the Directory is also integrated within Biotechgate, a global database of life sciences companies and organizations, which includes more than 50,000 company profiles. Thanks to a comprehensive search form, it allows users to seek specific companies filtering by sector, product phase and many other categories. User-friendly Québec Life Sciences and Health Technologies directory includes more than 1000 profiles of companies active in the Healthtech, Biotech, Pharma or Medtech sector, all profiles of which being updated continuously. The platform is one of 30 country-specific life science databases, which in collaboration with regional organizations, are run and maintained by Venture Valuation. The Biotechgate Database is property of Venture Valuation AG, Switzerland. Biotechgate is a global Life Sciences Database containing over 50,000 company profiles and licensing assets and providing the user with information on life science companies, licensing products, financing rounds as well as key data on management structures and technology platforms. It also contains a database on licensing deals and associated financial information on individual deals as well as an investors database. Venture Valuation specializes in independent, third-party assessment, valuation and monitoring of emerging high growth companies in industries such as biotechnology, med-tech and high-tech. Services are provided in the form of independent Valuation Reports to entrepreneurs (seed to pre-IPO) and investors. With offices in Switzerland, Ireland, UK, Canada, USA and Asia, Venture Valuation has an experienced team of scientists and business professionals with expertise in finance, biotechnology, pharmaceutical and high technology industries. About Montréal InVivo – www.montreal-invivo.com Montréal InVivo is the brand name for the life sciences and health technologies (LSHT) cluster of the Montréal metropolitan area. The cluster comprises almost 600 organizations, including more than 150 research centres, 80 subsidiaries of world-class companies and more than 40,000 people employed in the sector. A wellspring of great ideas, the cluster includes four universities and ranks first in Canada for the number of research centres. 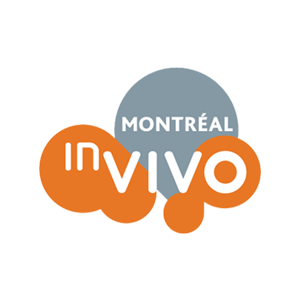 Montréal InVivo is a non-profit economic development organization dedicated to the creation of wealth. Its activities are supported by funding from the Ministère de l’Économie, de la Science et de l’Innovation (MESI), the Secrétariat à la région métropolitaine reporting to the Ministère des Affaires municipales et de l’Occupation du territoire, the Communauté métropolitaine de Montréal (CMM), Canada Economic Development (CED) for the region of Québec and private and institutional sectors.